Donavan Mullings joined the Bourse team in March 1997 as Investment Manager, bringing with him a wealth of treasury and investment experience. 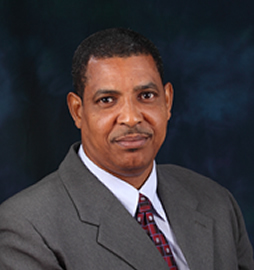 In 1984, after having qualified as a Chartered Secretary (ACIS) in the Financial Administration Stream, on his return Donavan assumed the position of Treasurer and Financial Planning Officer at one of the local Banks in Trinidad & Tobago. Donavan’s skills and knowledge were further enhanced through successfully completing the three-year programme with the prestigious and internationally renowned American Bankers Association – Stonier Graduate School of Banking. This programme covered wide-ranging areas relating to the overall financial management of banks including treasury risk assessment and performance measurement. In 1991 he joined Neal & Massy Holdings as their Financial Analyst. Subsequently, Donavan spent a year and a half at Trinidad’s first listed oil company, Mora Oil Ventures Limited as Chief Financial Officer before joining Bourse.